JVP’S NATIONAL BOARD has announced the organization’s opposition to Zionism. Many, both within JVP and outside, see this statement as a long time coming and welcome the development. However, there are others in JVP, like me, who oppose this statement. It is a fundamentally inward-looking statement, aiming to energize JVP activists. It is neither a response to the Palestinians nor a call to the rest of the Jewish community—and its impact could further isolate the organization without producing results. Zionism and anti-Zionism have defined the course of my life since before I was born. My grandparents on both sides were Zionists. In the 1930s, my maternal grandfather travelled from Nazi Vienna to Palestine in search of a safe haven for the family. He returned to Europe where he perished along with most of the family. When I was a child, my family moved from England to Israel. Growing up in Israel, I, too, was a committed Zionist; as a young man, I willingly served in Israel’s military in the West Bank. Yet, for almost all of my adult life, I have been on a path away from Zionism. Twenty years ago, I left Israel and moved to the US. I wrote my rabbinic thesis here on rabbinic objections to Zionism. Today, as a rabbi in Chicago, I cultivate Jewish life in my adopted home city: this, in and of itself is a repudiation of Zionism’s centering of Israel and its disdain for the diaspora. I write and speak regularly on behalf of JVP and the Boycott, Divestment, and Sanctions (BDS) movement. I hold a vision for a non-Zionist state in Israel and a non-Zionist Judaism in the US. In short, there is nothing in JVP’s statement on Zionism that I do not agree with. But it seems that, in issuing this statement, JVP was not motivated by our movement’s primary goals: first, solidarity with the Palestinians and second, Jewish communal transformation. To the latter point, I know that many JVP activists have given up all hope that the Jewish community can be reformed on the foundations of justice for Palestinians. It’s not hard to see why. At every turn, the mainstream Jewish community has slammed the door shut on Palestinians, and us, their Jewish allies. As a result, many JVP activists have no relationship whatsoever with mainstream Jewish institutions. Their social universe is the intersectional activist community, not the mainstream Jewish community. Subsequently, what JVP’s goal of “Jewish community transformation” means to many of its members is to establish an alternative mode of Jewish life within JVP. A statement on Zionism that further distances them from the Jewish community is therefore a natural next step. I, and many others, have chosen a different path. My synagogue, Makom Shalom in Chicago, has long included both opponents of Zionism and its supporters. The congregation has taken a public stand in support of free speech in the Jewish community, including in relation to BDS. I call this approach “Open Judaism,” a dialogue across the Israel divide. In 2014, I founded the Open Hillel Rabbinical Council, committed to engagement and against the shunning of BDS supporters. I’m afraid the JVP statement applies this same measure of exclusion to the Zionists among us, as well as to those who are in close relationship with Jews who support Zionism in any of its forms. And for what? Palestinians have never issued a call for us to reject the ideology of Zionism. What Palestinians have asked of us is to endorse BDS, the Palestinian call for equality under Israeli law. BDS is the measure of our solidarity, and the battle we should choose, not a ruling on an internal Jewish ideological debate. Of course, JVP is not a synagogue, but synagogues are a salient model for building Jewish community. In order to not conflate my Judaism with my Israel/Palestine activism, I must necessarily remain in community with Jews who think differently than me on this issue. In the same way that I could not lead prayers in one of the many synagogues where the national anthem of the State of Israel is sung in worship as if it were liturgy and the Ark is flanked by Israel’s flag, I also don’t want my synagogue to be reduced to an anti-Israel creed. The spectrum of Jewish opinion on Israel in my congregation is a reminder that the Jewish people are not monolithic. For many in the Jewish community, BDS is the bogeyman, a litmus test of Jewish loyalty. But solidarity with the Palestinians means that we should endorse their call for equality. Educating our community and the world about BDS should keep us busy enough. In issuing this statement on Zionism, JVP is drawing “red lines” on others in our community that are so often applied to us, for the comfort of ideological purity on the left, and at the expense of our goal of Jewish communal transformation. JVP’s Zionism statement is an internal activist document made public and is indicative of an inward-looking gaze. It serves neither the goal of Palestinian solidarity, nor of a shift in the Jewish community. 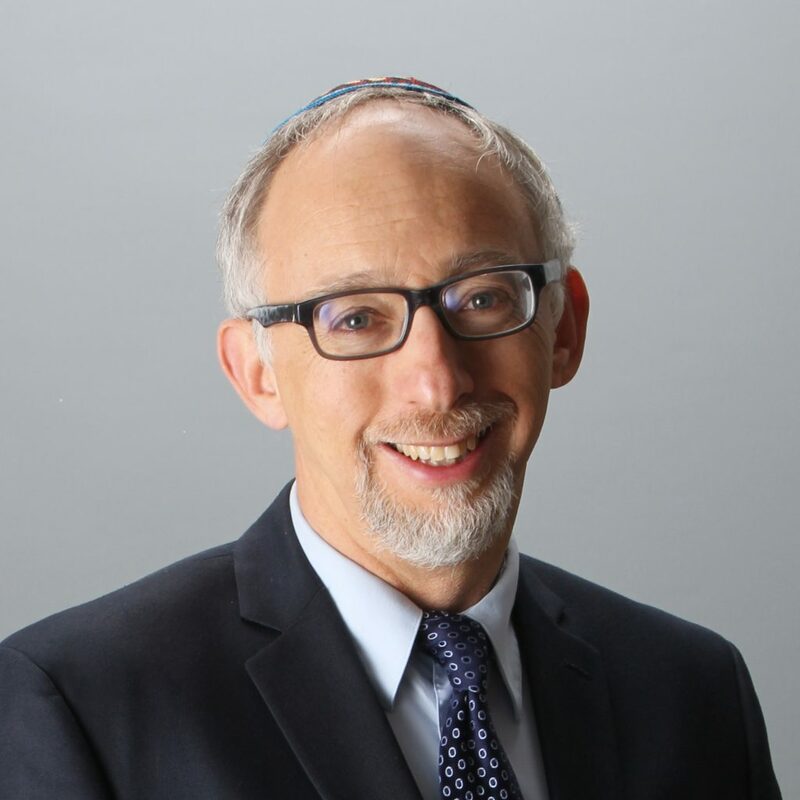 Rabbi Michael Davis is an Israeli-Brit-American. He is the spiritual leader of Congregation Makom Shalom in Chicago and a longtime JVP activist.